Good vision is one of our greatest gifts. Making the most of every aspect of our lives depends on the ability to see clearly. By deciding to become an optician, you’ll enjoy great career satisfaction by helping others improve their vision and lead happier, more fulfilling lives. The Goodwin College optician program — the only optician school of its kind in the Capitol Region — combines the best practices in hands-on, technical work with caring customer service and patient interaction skills. 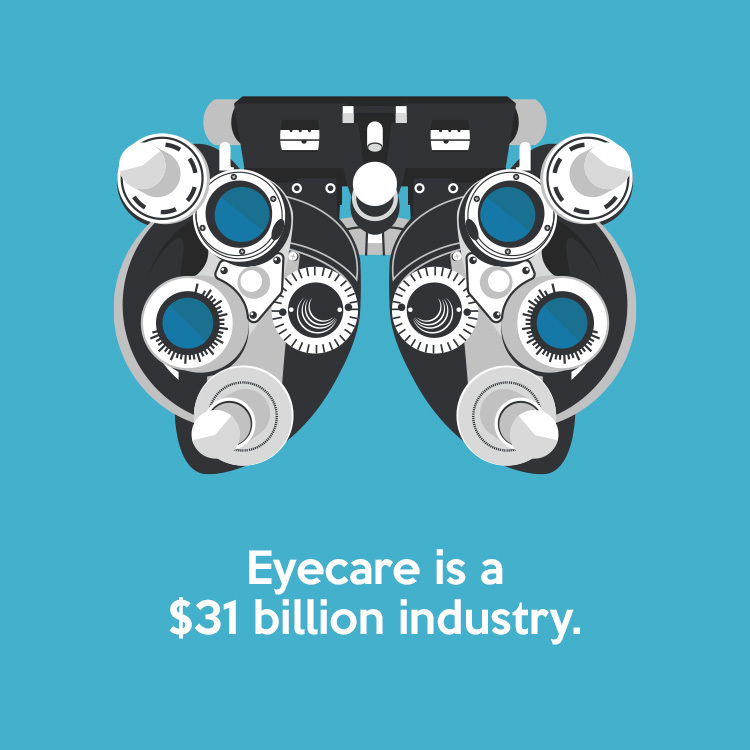 As an optician, you will be responsible for analyzing and interpreting prescriptions to determine lenses that are best suited for a patient’s lifestyle and visual needs, as well as ensuring the best fit and visual acuity of contact lenses. Organized individuals with an aptitude for math and science — and who enjoy working with others and providing outstanding customer service — will find the greatest success in this field. 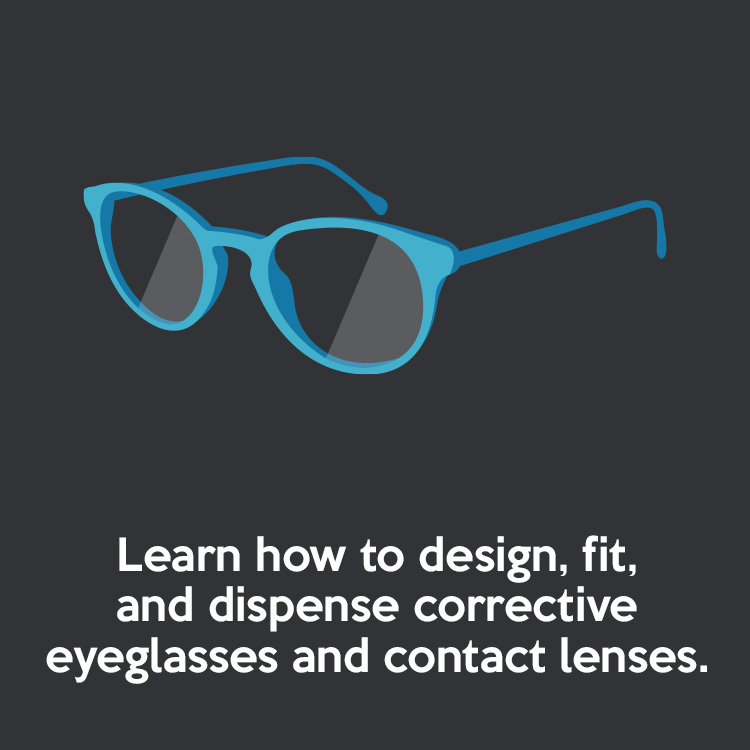 Students enrolled in our associate degree in Vision Care Technology program will learn practice management, follow the role of fashion in eyewear, and study ethical issues in an educational experience that is both lively and thought provoking. Our brand new optician training facility is a unique educational environment in which to learn and grow. 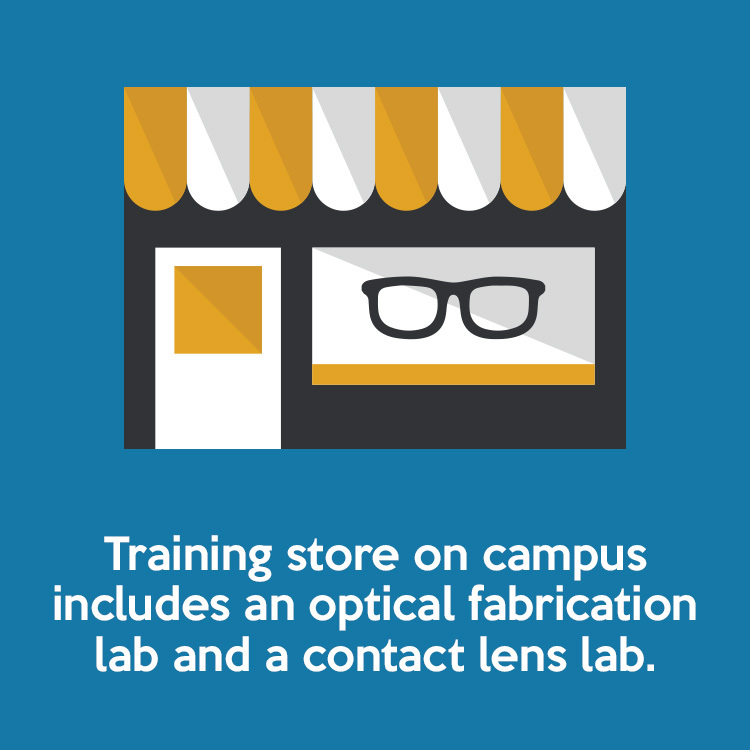 Working with a dedicated team of eye care professionals, you will learn to design, fit, and dispense corrective eyeglass and contact lenses in our state-of-the-art optical fabrication laboratory, contact lenses laboratory, and training store. Gain the skills and knowledge to make a positive, lasting impact on the lives of others. Set your sights on becoming a licensed Optician at Goodwin College. 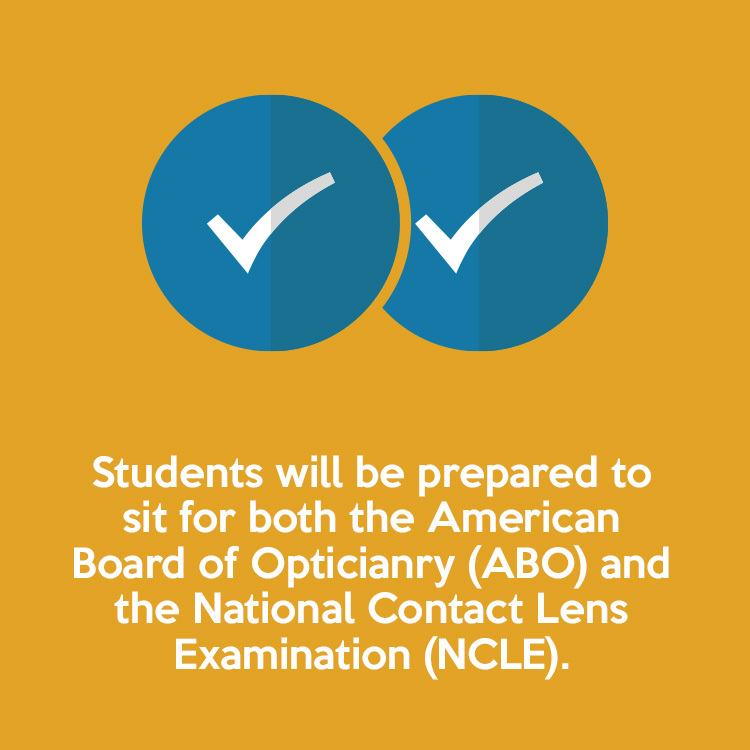 Students will be prepared to sit for both the American Board of Opticianry’s (ABO) and the National Contact Lens Examination (NCLE). In order for students to be eligible to take the state exam to be a licensed Optician in Connecticut, they must pass both the ABO and the NCLE and graduate from a program accredited by the Commission on Opticianry Accreditation (COA) and approved by the Connecticut Board of Examiners for Opticians. Pass Rates and Job Placement.